If you’ve ever had a sinus infection, then you certainly know how miserable it can be. Sinus infections are a very common problem, and they can become markedly worse during cold and flu season, many times resulting from a respiratory ailment such as a cold, flu or allergic reaction. As the cold and flu season arrives, many individuals will surely be on the market for the best natural alternatives to soothe their sinus troubles, rather than purchasing dangerous over-the-counter medicines made with chemicals that often times leave sinus cavities and nasal passages very dry and vulnerable to increased infections. 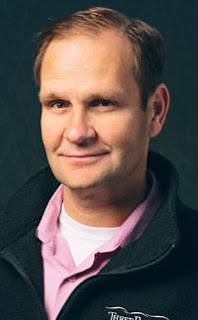 Please be introduced to Mr. Nate Jones, owner of Xlear, who took some time out of his busy schedule to share some invaluable insight and content with Consciousness Magazine. 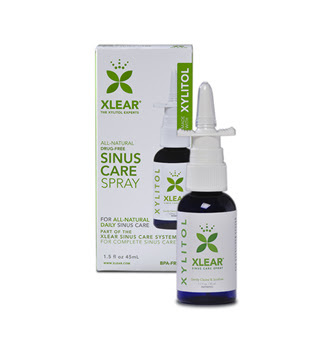 Xlear is one of the nations largest importers of Xylitol products containing all natural defenses for adults and children who suffer from nasal problems, and is proven to reduce sinus symptoms. Xlear is recognized as the leading manufacturer of Xylitol products proven to be effective in soothing and moisturizing the sinuses and nasal passages. 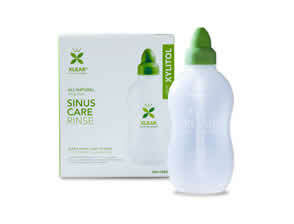 To counteract the problems that occur from dry nasal passages. Doctors often recommend their patients use saline to help keep their nasal passages moist. Nevertheless, Xylitol is the ingredient that sets Xlear products apart from all of the other nasal sprays on the market, keeping passages much more moist than regular saline. Xylitol is a natural sweetener that targets the bacteria that live in our mouth and cause cavities and live in our nasal passages and cause sinus problems. “When you use Xlear’s saline with Xylitol, it actually makes nasal passages more moist and keeps them moist for longer periods of time. It also makes it so the bacteria can’t adhere to the tissues. So it’s a much better thing to use than regular saline,” elucidates Nate. Xlear products do not contain any drugs or side effects, is safe for all ages and is completely non habit forming. Xlear’s Xylitol products are widely known for its sinus products; however Xylitol also has many benefits outside of sinus care. The original research behind Xylitol revealed that it helped prevent tooth decay. “You’re actually preventing cavities and oral disease by eating sugar. You can mix it in your water and swoosh it around in your mouth daily, and it’s going to cost you 5 or 10 cents per day. There’s just so many simple ways to help prevent dental cavities,” sincerely says Nate. Currently Xlear is expanding their dental care line to include more kid friendly products like toothpaste, mouthwash and candy for children. “We don’t currently have mouthwash and toothpaste for kids, but we will have it in the next couple months. Then we want to move into candy. If you can give kids candy that’s good for them that helps build there teeth, that’s just a great thing,” articulates Nate as we conclude this stimulating interview.